For some people, there is an appeal to leasing a car vs. purchasing it outright. Leasing a car is one way for many would-be car owners to be able to finance a more expensive car with a lower monthly payment than they would have otherwise been able to afford. This low monthly payment is not all it is cracked up to be, though. In fact, there are several hidden dangers when you lease a car that you do not typically find when making a purchase. With the popularity of leasing on the rise and new commercials hitting the airwaves every week, it’s important to understand how these hidden expenses can wind up costing you more money in the long run than if you had simply purchased the car. Here are four of the biggest hidden dangers that people face when leasing a car instead of buying a new car. While most financial experts are quick to point out that your new car loses value as soon as you drive it off the lot, they also often fail to mention that you will eventually have some sort of equity in the car. When you finish making payments on your car loan — if you are a buyer — there is still a residual value to your paid off car. This is the value that you can sell the car for in the end. Granted, your car’s value may just be a fraction of what you paid for it initially, but it still has some value. If you had leased the car instead, that wouldn’t be the case. When you lease a car, you agree to return the car at a predetermined point in time, typically three years after signing the lease. At the end of your agreement, you simply return your car and are left with nothing but memories. Also can be the risk that if you wreck the car or have it stolen, your auto insurance will only cover the market value – which may be less than you owe on your lease. When you lease a car, you are typically limited to driving between 10, 000 and 12, 000 miles/year. If you want the best deal on a new car lease, you may find yourself stuck at the low end, with a 10, 000 mile annual limit. 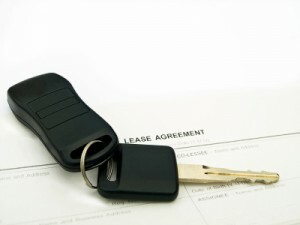 Many lease agreements charge 18 cents per mile or more when you go over your limit. So, for example, if you drove 15, 000 miles each year during a three year lease that only provided you with 10, 000 miles annually, you could be looking at an extra $2, 700 in charges when you your leased vehicle to the car dealership at the end of your agreement. A car lease requires that you return your car in good shape, and dealerships can vary in terms of what they consider to be satisfactory condition. What you may view as simple dings and chips from normal wear and tear may be unacceptable to the dealership when you return your car. One friend of mine found himself penalized thousands of dollars for damage thanks to stains on the carpets of his car from coffee spills. ProTip: You may be able to take your car to the dealership for a pre-inspection before returning it, thereby allowing you to fix/clean it up before being charged. Both leasing and buying a car can both be tricky, and car dealerships don’t make things easier on their customers with all their legalese. You’re bound to hear terms such as money factor, residual value, capitalized cost reduction, and capitalized cost when you look at leasing a car. One of the most important figures to focus on is the money factor, which is essentially the interest rate on your lease. You have to multiply the money factor by 2, 400 in order to find the annual interest rate that the dealership is charging you. For example, with a 0.002 money factor, the interest rate is 4.8%. Leasing a car is starting to make a big comeback in mainstream America as more consumers are looking for new cars while trying to minimize their monthly payments. According to the Automotive Lease Guide (ALG), which tracks industry leasing trends and residual values of cars, the popularity of leasing is expected to continue to increase over the next four years. ALG estimates that leasing will grow to over 17% of the mainstream car purchasing market by the end of the year, with 43% of all luxury cars being leased. Leasing a car may be a viable option for many consumers, but you need to go into the transaction with an understanding of all the requirements, potential fees, and hidden dangers that lie ahead. Alternatively, you may be able to assume a lease. Have you ever leased a car? If so, did you run into any unwelcome surprises? I know I’m late, but what this article fails to mention (and another commenter posted), there can be situations where you have equity in a car. If the residual is estimated too low, and/or if you get a stellar deal, like $10,000 off of MSRP, then you win. And it is possible. 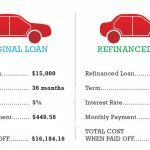 You save money while leasing the first three years w/ a fairly low money factor and low payment, use some of the $ saved to pay off the residual later, and then refinance at a low rate for another 36 mnths. If your residual is low enough for you to afford in this circumstance. You can sell the car yourself and possibly profit. That is equity. Even if you owned and sold, the Market Value would be the same so that is still money lost in the long run. Even though you may profit to put towards another car, you’ll still have a payment unless you pay cash. More money… You can also use that time (leasing) to improve your credit if you need a boost, to ensure you get the best financing available in 3 yrs. Plus with a used car you would need to add an extended warranty, which you can finance or pay upfront. Which will also add to your monthly payment. I think if your employer will cover it, why not? However, if you’re doing it yourself, it just doesn’t make sense to me. Just buy a nice but used car. The insurance will be cheaper and it will not lead to hidden fees, etc. like you’d get with a leased car. If you’re not rich, buy used. you can get a great functional used car for just a few thousand. It’s ridiculous how much brand new cars drop in value the second they become used. Juggler) I meant “less than 10 cents a mile, not including gas”, sorry for the confusion. Im not counting normal maintenance either as those costs are the ame whether the car its leased or not. As for the lease, that cost is also 30-50 cents a mile, NOT counting the gas. My current car (which is approaching 10 years old and 140k miles) I leased originally. I will say that originally I wasn’t paying the lease so it was a no-brainer, but that changed not too long after. In retrospect though, if you have good credit and get very good deals…doing a lease first then buying can be a way to own a nicer car than you would buy…sure I made payments on this thing for 8 years, but so what, it was all at dirt cheap rates. I never could have afforded my A4 that I love if I had to buy instead of lease. And if you are planning on buying the lease out, the mileage/damage/return fees – don’t make a difference. I also want to comment on that guy who claims his car has consumed less than 10 cents/mile in costs – I call bs on that. The average price for gas over the last 10 years is at least $2.20/gallon. At the very best a car you bought 10 years ago is probably getting maybe 35mpg – 6.28 cents/gallon just on gas. Even minimal maintenance is going to cost you (and lets continue the conservative estimate and say you drive way under the average – just 8000 miles/year)…40/year for oil changes (that’s just two…at $20 each) for another .5 cents. Tires – cheap tires you would have needed to change them at least 2x at maybe $200/change – another .5 cents. Your warranty wouldn’t have covered you for more than about 5 of those years and there will be lots of other things to change…and some bigger stuff sooner or later. So if you don’t drive that much, and you bought the most fuel efficient car possible…and it has had no major repairs…that’s about the only way you are getting under 10 cents/mile. And you’d be lucky at that. I think a more realistic number for most people…even ones that aren’t buying new cars is something closer to 20 cents/mile. I have a relative who has leased their vehicles for at least the past 15 years, if not longer. They haven’t had any problems. They use the same dealership & drive essentially only locally in a very small town, so mileage caps aren’t an issue. With that long-term relationship with the dealer they get a great deal when it’s time to turn in the vehicle & get another. What I don’t understand about leasing as opposed to buying is that for leasing you have a big up-front payment, usually several thousand. Are people financing that too? Last vehicle we bought with a loan, we financed the entire cost for zero percent, so no money out of pocket up front. We looked to lease a car a while ago, but got confused with all the terms. Since we could not understand the leasing contract, we bought a car. Life is too short to spend time on a complex contract. I agree with YourPFPro, there’s no need for most people to lease cars, or buy new for that matter. You can always find a quality lightly-used vehicle for fractions of the new / leased price if you shop around and explore all options. The only reason that would allow me to justify buying or leasing a brand new car is if I’m involved in some kind of sales where the WOW factor would most likely help. People struggling with debt need to stay away from leasing or buying new in my opinion. I am so surprised that there are so many fans of car leases here on FCN. I would never have guessed. A lot of commenters hit the nail on the head that while leases are horrible for most people, there may be a select few with specific circumstances where leases may be a good option. I’m not touching them with a 10 foot pole though. I personally would never come out on the good end of the equation in the end. I’ll say the thing I’m not supposed to say… I LOVE MY CAR! I live in a horribly congested city and spend a significant amount of time in traffic, so I WANT to be in a comfortable, elegant environment with a few fancy gadgets to keep me sane. That said though, my current car is leased and it’s a massive payment every month. This is the first and last time I will lease. I have paid off 3/4 of my debt and have 1 more year on this lease, at which time I will return to buying. I still intend to buy a new car, but one that is half the cost of my current SUV and I’ll do it with as much of a cash down payment as possible. My plan is to hit the car loan like I’m currently hitting my credit card debt and then have as many years as possible without the monthly payment. I almost leased a car last time, but then realized how stupid that is. I’m happy to lease a home for a really long time, but a car? That’s something I should own. Lease if you like paying 30-50 cents (or more) per mile for your ride. The vehicle I purchased used (over ten years ago), has cost me under 10 cents a mile (including purchase price, only my miles, and the cost of repairs). Of course, the more I drive it, the lower the cost/mile gets. The opposite is true for leased vehicles. Good post, Hank! Leasing makes sense for some people, but to really save money over the long-term it’s better to own a car and drive it until for over 100,000 miles. We do that, but my husband is good at fixing things on it. Also, we buy vehicles that have a good track record of needing fewer repairs, high miles per gallon, and have a low cost of ownership. Doing your homework on this can pay off for years to come. I like using Edmonds online for good info. Leasing a car should really only be considered when you are living a high-end lifestyle. I really don’t see any reasonable financial reason to lease a car for the average person. You not only are saddling yourself with an additional payment, but as others have pointed out, you have no equity when your lease ends. I leased a car in 2003, a Honda Civic Hybrid. The residual value after a 4 year lease was $12,000. At the end of my lease term, I had three options. I could hand in the keys, sell the car myself and pay off the residual value, or I could buy the car from the dealership by paying off the residual. I chose to sell the car early, since I took a new job that offered the use of a car. I ended up selling the car for $2500 more than what I owed so leasing worked out for me. The reason I think it did, was Honda was setting the residual a bit low because they did not know at the time what the value would be for a used Civic Hybrid. Given the opportunity, I would not lease again. It’s a great way to have a car payment (debt) into perpetuity. My goal is to buy my next car with cash. I am driving my leased car. I leased it for business and have never had a better car. I purchased it after the lease and that was 20 years ago.